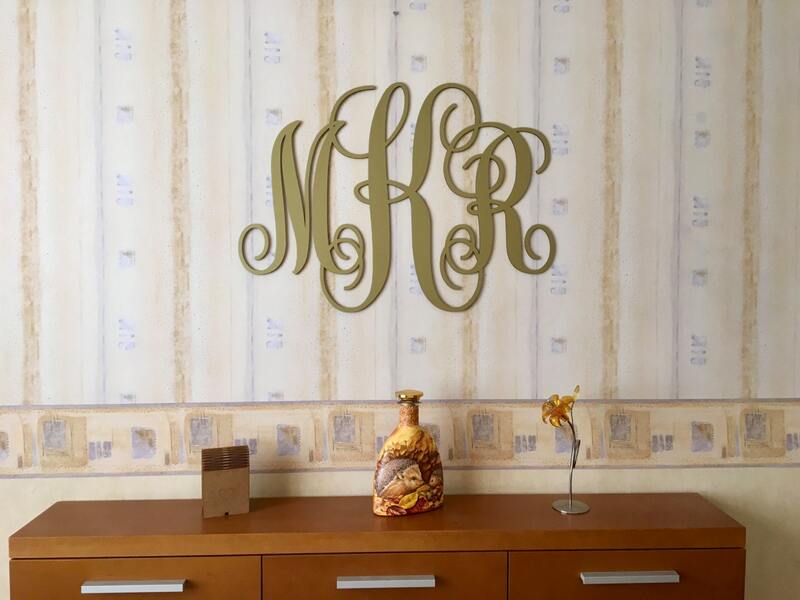 Our laser cut monograms are the perfect touch for your home decor. 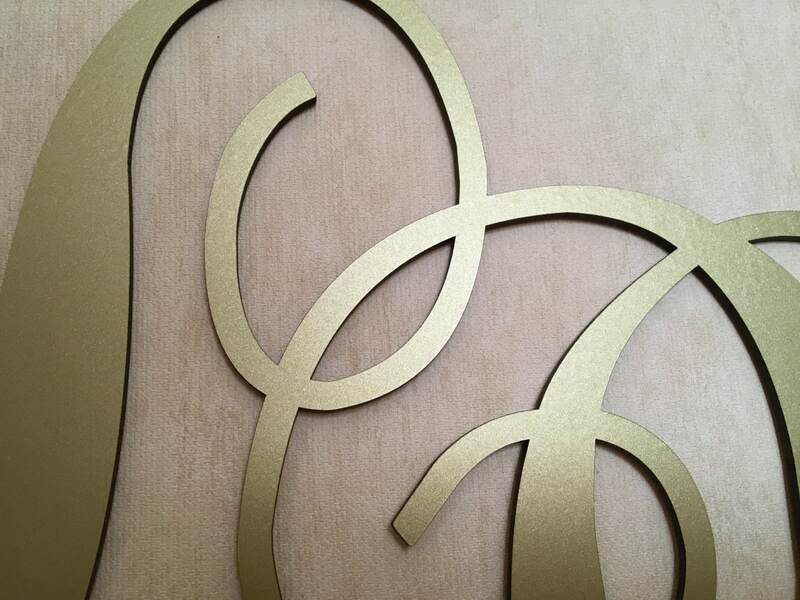 Custom designs, sizes, stained or color options are also available. Please contact us to discuss a custom order. 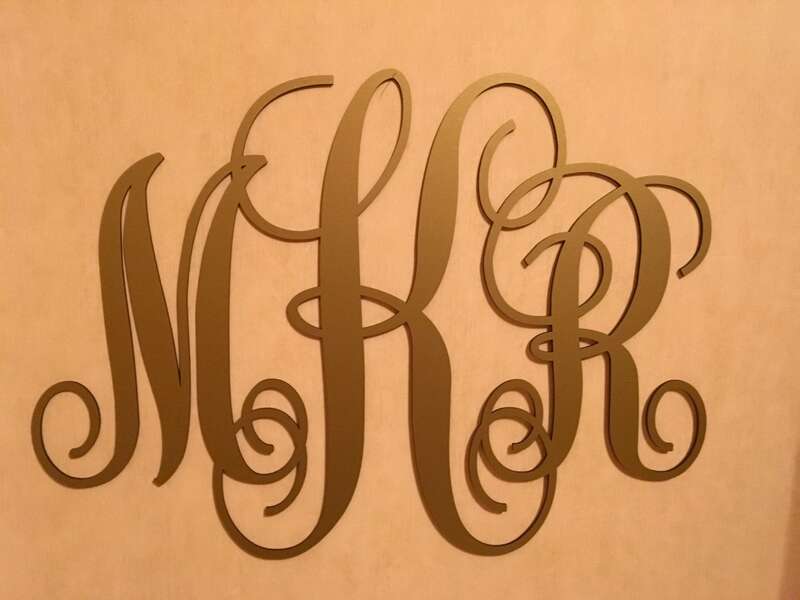 This monogram is laser cut from 1/8" thick food safe wood. 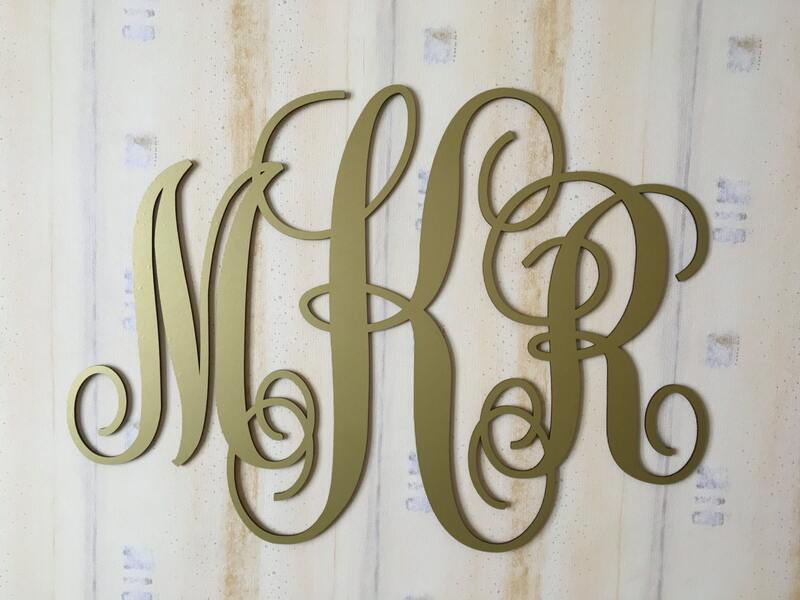 Wooden monogram is laser cut with wood and face finish gold matt. The material is wood with Gold film face. Love FranJohnsonHouse! Every product that I have ordered has arrived very quickly, professionally wrapped/packed, and beautiful. 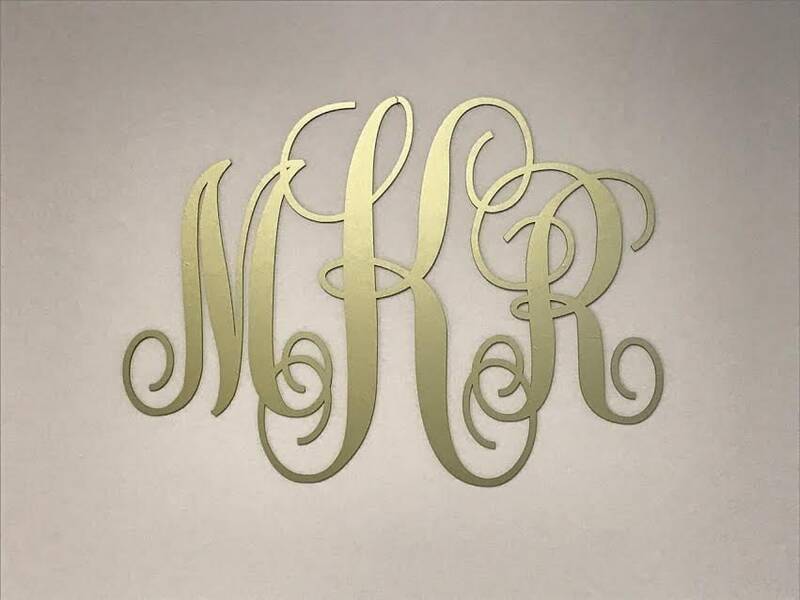 Used this monogram for my wedding. Love it! Highly recommend this! Looks great love it !